William “Bill” Oliver, 81, a resident of Cleveland, Tennessee, passed away on Tuesday May 22, 2018. Bill was born on March 7, 1937, to the late Sam and Juanita Oliver. He had many hobbies throughout his life, but some of his favorites were: fishing, camping, riding his motorcycle, and HAM radio. Bill was one of the founders of the Calhoun Church of Christ congregation and served as a deacon for Central Church of Christ for many years. Bill fully expressed his love for God in every aspect of his life, especially in the way he loved his family. His grandchildren were the light of his life and he cherished every moment spent with them. Along with his parents, he was preceded in death by his loving wife of 37 years, Judith Ann Oliver; son, Steve Oliver; and brother, Jack Oliver. Bill leaves behind to cherish his memory, his loving children, Amy Ragland (Chuck) and David Oliver (Keri); grandchildren, Kristen Morris (Sam), Lauren Ragland, Ava Oliver, Cooper Oliver, and Mason Oliver; brother, Don Oliver (Carolyn); as well as nieces, nephews, extended family, and friends. The family will receive friends on Friday, May 25, from 5:30-7:30 p.m. at Central Church of Christ, at 200 25th Street, Cleveland, Tn. 37311. A celebration of life funeral service will begin at 7:30 p.m. at the church. Bill will be laid to rest at 11 a.m. on Saturday May 26, in the Sunset Memorial Gardens. 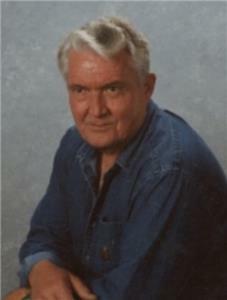 You are encouraged to share a memory of Bill and/or your personal condolences with his family by visiting his memorial web page and guestbook at www.companionfunerals.com.